Looking for deals on a new-build? Perhaps replacing some old for new? Want to keep that tech-lover in your life happy? Black Friday is your last chance to get those orders in before the year ends and festivities begins. While SSDs, Memory and GPU prices are at all-time highs, there are still a number of deals to be had. It’s that time again where enormous quantities of products go up for sale as a last attempt to shift stock before in-laws, drunk relatives, and bearded fat-men descend chimneys, and ask embarrassing questions about you’ve done the last year. Tis the season for gifting, and for some, demanding, but we’re all in this together – so let’s go find something for ourselves for a change. Tech is where we’re at, and while waffle-irons might be seen as tech, we’re not in the market for discount tat you use once – no, we want the good stuff. Slight catch though, with memory prices being extraordinarily high (hey, at least it’s not in short supply), high prices on SSDs, and a cyrptocurrency craze that just will not die, finding the right bit of kit for the right price is a challenge. Fortunately, there are deals to be had on everything else, fit for a ‘buy now, upgrade later’ build. 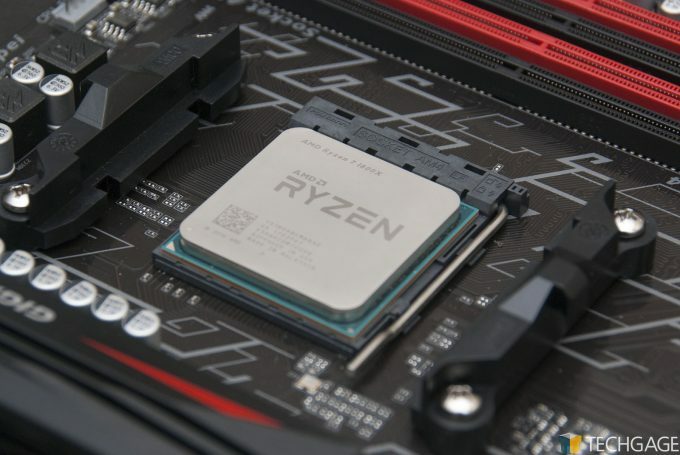 AMD has some killer deals going on its freshly launched Ryzen and Threadripper CPUs, with some proper sleuthing getting you 30% or more discounts, even on mainstream parts. The real headline hitter would be the Threadripper 1950X dropping from $1000 down to $800 – while very competitive with Intel’s Skylake-X at the MSRP price, shaving $200 off it makes it an absolute bargain for HEDT workloads, or those wanting to setup a render rig. 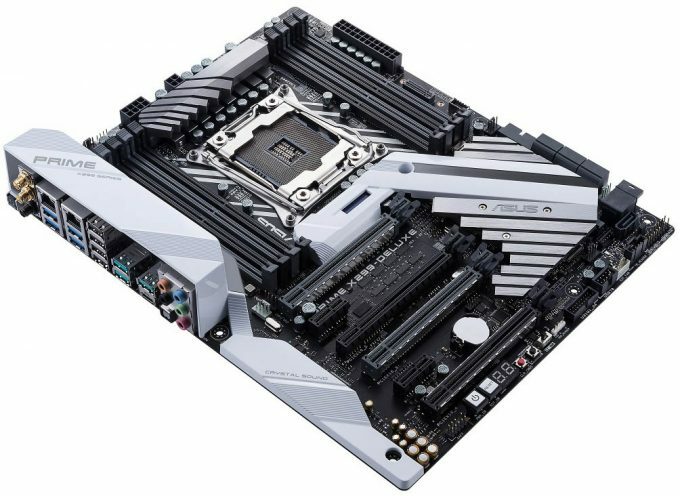 A good motherboard to pair with it is also discounted, the ASUS ROG ZENITH EXTREME which is currently going for $375, saving $175 in the process. Of course, not everyone can afford to drop that kind of cash on a single purchase without taking into account other components like motherboard, memory etc. Ryzen CPUs across the range are on some pretty good discounts too, with Ryzen 7 and 5 series CPUs going for some deep discounts, with much more affordable motherboards. 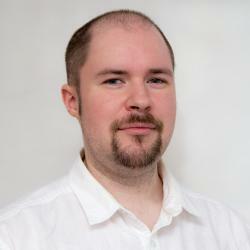 You can check out our reviews to see if they’re suitable for you. The 1700X and kind of steals the show by dropping from $400 down to $280, although sticking with the 1700 at $240 might be even better if you want to overclock yourself. Even mid-range parts like the Ryzen 5 1600 and 1600X (reviewed) are in the same discount bin, going for $190 and $200 respectively. These 6-core CPUs are great when you need some extra grunt for threaded tasks, but are still good for gaming (unless you’re trying to do 144Hz gaming on a budget). Pair the 1600 with a B350 board for $110, and you can easily take the chip to 4.0GHz and match the 1600X. If overclocking seems like a pain to you, popping the extra $10 would make more sense, just remember to get a cooler too. The price-cuts for AMD also go into the motherboards too, with X370 chipsets being sold at B350 prices. ASUS’ Prime X370-Pro is a no-nonsense board with all the key features but none of the frills, going for $114 instead of $170. AMD’s price cuts are also a bit of a knife twist at Intel, as its latest Coffee Lake CPUs are both extremely hard to find and heavily marked up, with some CPUs seeing the same sort of price hikes as GPUs, in excess of $100 or more in some cases, and this doesn’t take into account availability of the motherboards to go with them. Intel doesn’t really do the whole Black Friday thing, and rarely has anything at major discounts- having said that, the previous gen high-end i7-7700K (reviewed) is at a reasonable discount of $290, instead of it’s more normal $330 range. While the 8700K adds two extra cores, its current price of over $460 makes it a pretty unreasonable purchase. If you decide to pick up the 7700K, a good cheap Z270 motherboards can be had from ASUS with its Prime Z270-A for $110. To keep that hardware cool, and Closed-Loop-Cooler might be in order, with Corsair rocking its H100i v2 Extreme at $85, making it one of the cheapest 240mm radiator coolers at the moment, although if 240mm is too big, or your CPU isn’t a 150W+ monster, then a 120mm cooler might be in order, with Corsair’s H60 going for $50 (down from $65). If you fancy handing in a rebate, the venerable Hyper 212 EVO can be had for $20 if you just don’t care. As is tradition it seems, Crucial’s budget friendly SSDs are going for their usual discounts. Not as good as previous years due to factory shortages in memory and NAND, but still pretty good if you’re in need of something now. The 525GB MX300 is going for a cool $130, and while it won’t win any major performance awards, realistically, you won’t notice the difference compared to something like Samsung’s 850 Pro except under specific workloads. 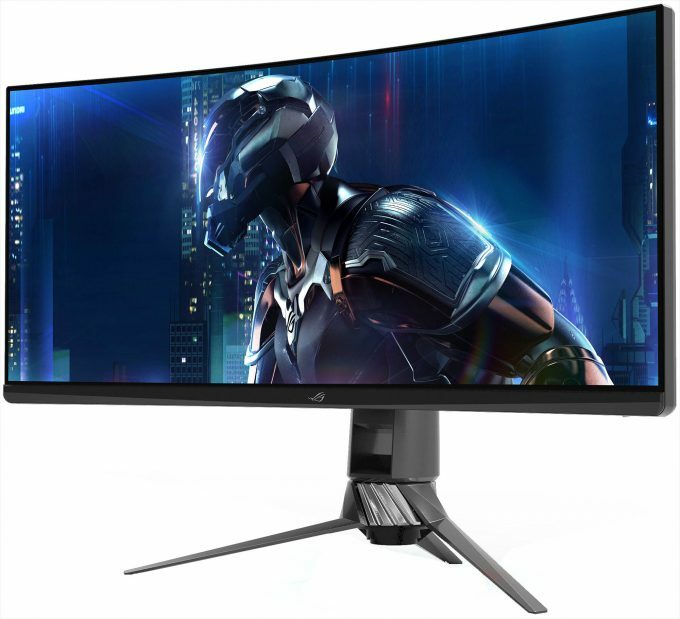 For displays, there are a couple interesting offers, one of which is an ultrawide FreeSync display from LG, the 34UC79G that can do 144Hz. It’s an IPS screen, not TN or VA, 34-inches, so full immersion, and only $315 – the catch? It’s 2560×1080 instead of 3440×1440 – which isn’t fantastic for a 34-inch display, but it should work perfectly with an RX 580 (reviewed) if you can’t afford to stretch to a Vega 56. If you are after a fast refresh G-Sync enabled display, the ASUS ROG SWIFT PG278QR 27-inch might be worth considering, with 165Hz refresh. It’s not 4K, but instead 2560×1440, going for $480 instead of $640, while the price drop is large, it’s still not a huge bargain, but that’s the nature of G-Sync displays, as they typically have a $150 premium. There are a number of 4K displays now in the sub-$400 range, some of them are even fairly decent; one of the cheapest being the Samsung U28E590D, a 28-inch FreeSync enabled 4K display at $290, although limited to 60Hz refresh, like most in this price range. If you are hoping to snag a graphics card for black Friday, you’ll probably be disappointed, as nearly all prices are still out of whack, with some of the best deals bringing GPUs back down to what their MSRP prices should be normally, such as RX 580s in the $240-290 range on 4GB and 8GB variants, at least for the time being. GTX 1060 6GB cards can be had for $270, but with a little digging, you can grab one for $240. The best we can find on a GTX 1070 is $420 at this time. You can look at the traded blows between these cards here, and if you spot a 1070 Ti or Vega 56, you can check out our review here. 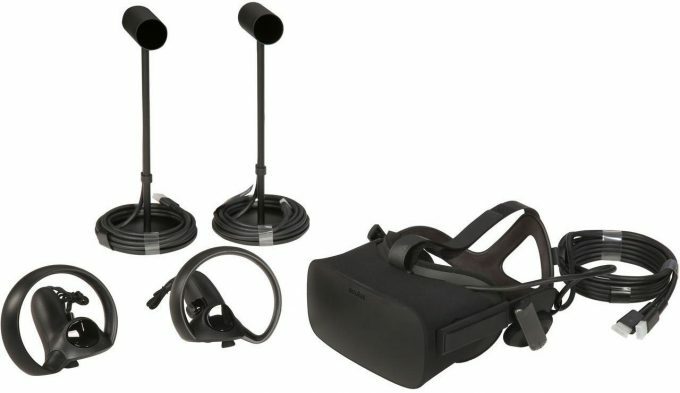 Another epic deal if you have the GPU power already, is an Oculus Rift, with controllers, going for a very respectable price of $349 – which is just crazy compare to the nearly $700 it was at the beginning of the year. Stiff competition from PSVR and the HTC Vive has forced Oculus to drop the price on its headset dramatically, so if you plan to get into real VR, at least on the PC, then this offer on the Rift is pretty much impossible to beat.